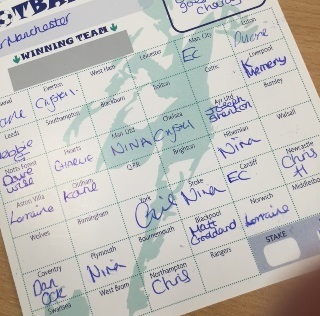 Day 3 has seen the Realm team close in on their cumulative £100 target, which they need to hit in order to be able to watch England Vs. Wales on Thursday afternoon. Matt picked up where he left off yesterday and smashed through his personal £25 target by auctioning off a bottle of champagne. This means Matt has also earned the privilege of taking Friday off from work too! 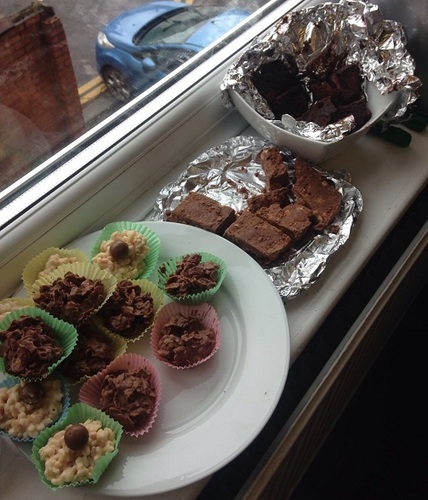 Not to be completely outdone by Matt, fellow Trainee Recruitment Consultant Chris brought into work with him what looked like the entire stock of a Greggs shop and held another bake sale, whilst also running a football card, altogether bringing in a healthy £29. Director, Duane managed to get off the mark too, cynically putting to use his powers of persuasion to bring in a £10 donation.